Do you eat only when you’re actually hungry? Many of us eat even when our bodies don’t need food. 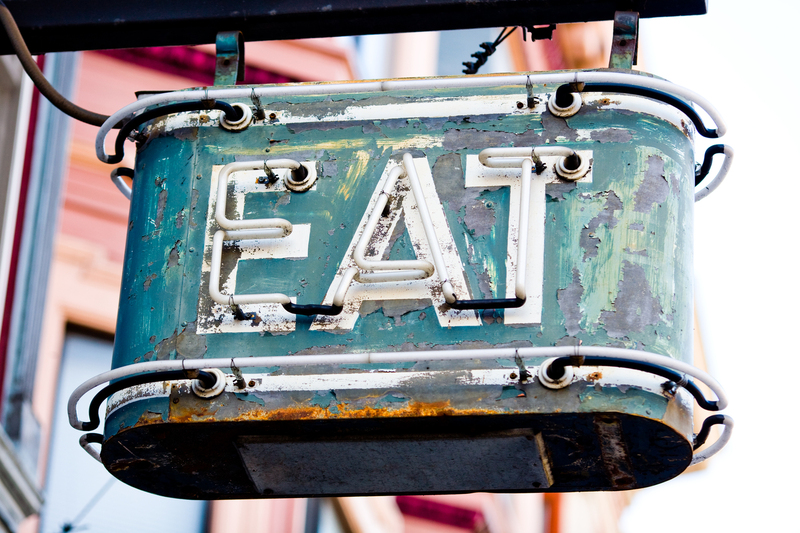 Just the thought of food entices us to eat. We think about food when we see other people eating, when we pass a favorite fast-food restaurant, when we see a scrumptious snack near the check-out at a convenience store. In addition, we’re the targets of sophisticated advertising techniques designed to keep thoughts of food and the pleasures of eating almost constantly in our minds. Obviously, overeating unhealthy foods can lead to overweight. But looking beyond direct effects on expanding waistlines, our lab studies how mental functioning is related to diet. We’ve found a troubling link between a fat-rich diet common in the West and brain-related ailments that can actually impair our ability to avoid overeating. Many scientists believe that societal factors, such as advertising, have combined to create an environment in which the temptations to eat have overwhelmed our body’s natural biological ability to control what and how much we consume. The result is that in the United States, two-thirds of adults, and more than one third of children and adolescents, are now overweight or obese. This trend is spreading to other countries all over the world. Even worse, diseases that are associated with excess body weight – such as diabetes, high blood pressure and heart problems – are also becoming more prevalent. At the core of the problem is the fact that many of the foods we can’t seem to resist are unhealthy. Some of the most attractive and popular foods in our current environment contain high amounts of saturated fats – high levels are found in red meats and dairy products like ice cream and butter. This type of diet is consumed by so many people in the US and other western societies that it is often called the “western diet.” No wonder obesity has become such a problem. Over the past several years, many scientists have reported that consuming a western diet and gaining excess body weight may have harmful effects on the brains of both human and nonhuman animals. For example, some research suggests that middle-aged adults who are overweight and obese are at greater risk for developing Alzheimer’s disease and other types of late-life cognitive dementias compared to people of normal weight. The results of other studies suggest that even children as young as seven years of age may suffer certain types of memory impairments as a consequence of consuming too much of a western diet and accumulating too much body fat. Much information about the nature of the effects of western diets on the brain comes from studies with rats and mice. Research in our lab and elsewhere has repeatedly shown that feeding rats a diet with levels of saturated fat and sugar much like those in the human western diet weakens the blood-brain barrier (BBB). The BBB is a system of cells and membranes that form tight junctions to prevent harmful agents that circulate in the bloodstream from entering the brain. Feeding rats a western-style diet weakens those tight junctions and thereby allows potentially harmful substances to pass into the brain. 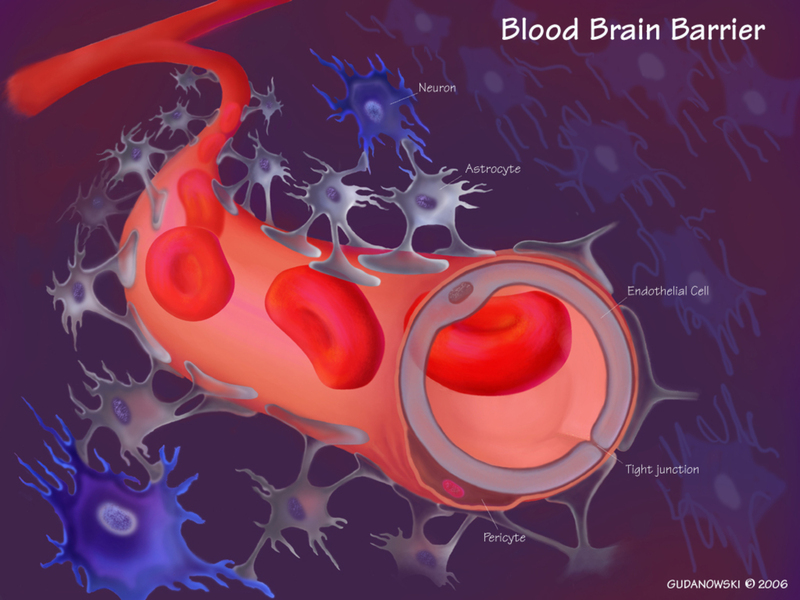 To determine which areas of the brain are most vulnerable to the ill-effects of a leaky BBB, we infuse a small amount of dye into the bloodstream of a rat and measure areas of the brain where the dye accumulates. In overweight rats fed a western-style diet, the dye appears to collect preferentially in the hippocampus, a brain structure involved with important learning and memory functions. As an apparent response to the accumulation of such intruding substances, the hippocampus becomes inflamed and its electrochemical activity changes. Rats that suffer these consequences also show deficits in their ability to use certain types of information processed by the hippocampus. Do these deficits have anything to do with our ability to resist eating high-fat and sugary foods? We think they do. One type of information that is processed by the hippocampus takes the form of internal physiological signals about one’s need for food. Rats and people who have sustained damage to their hippocampus appear to have difficulty using those internal signals to tell whether or not they’ve had enough to eat or drink. In the presence of powerful cues in the environment that entice you to eat, a reduced ability to use information from your body that tells you that you don’t need food can lead to overeating. 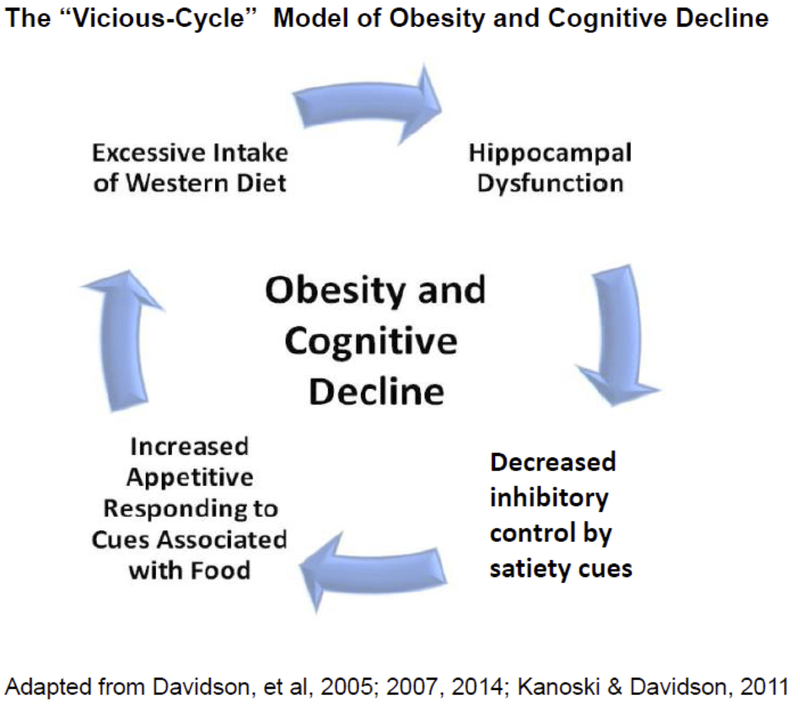 The result could be a vicious cycle in which eating a western diet produces hippocampal dysfunction which weakens the ability to use internal cues to counter eating elicited by cues in the environment. This could lead to progressively more eating of western diet based on progressively greater deterioration of hippocampal function. As the hippocampus becomes more and more impaired, the severity and scope of learning and memory deficits would also increase. The result could be not only obesity but also more serious cognitive decline. How to break this feedback loop is an important research question. Maybe the answer will be to find ways to protect and strengthen the BBB against the bad effects of western diet. Maybe it will be in finding ways to make the western diet less damaging. But until other answers are found, the only protection we have is knowing that an excessive intake of a western diet may harm both our physical and mental well-being.